Guess what, fellows? It's time to get your Con on - WriteOnCon! What is WriteOnCon? Just one of the coolest online events for writers ever, having all the networking and conveniences of a live writer's conference without having to pay for admission, parking, hotel rooms, or those fancy lunches with undercooked vegetables. FYI, I like them that way. This is my second year. The first propelled my networking capacity in astronomical ways. I even hooked up with a critique partner who has an agent now. Talk about awesome! 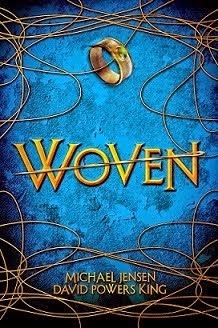 I also posted our first query for Woven, which I know has helped us catch a few eyes and appreciated requests. I'll be the first one to say ... "This year will be epic!" If you are going in for the first time, it might be daunting. There's so many links, tabs and forums that it's easy to get lost. And unless you plan on sticking with your computer 24/7 for the next week, it might be rather difficult to get the most out of this online conference. I know you can, Sam, so let's do this! Everything you need to know about the conference is here, but the great thing about this conference are the forums. No matter what market or genre you write, you can submit queries, synopses, the first 250 words or first 5 pages for attendees to read and provide feedback. For each work you submit, you are asked to critique at least five others. If you critique more, the more help you'll receive. Be courteous and helpful - All submissions are a work in progress. The last thing you want is to give a bad first impression. Don't act like a know-it-all, whether you've been writing for one year or fifty. It also isn't enough to say "this isn't working" or "this is confusing." Tell the author why and offer suggestions (without rewriting their work). Consider people's feedback - Those who decided to visit your thread and comment are your friends. They want to help, even if you may not agree with their suggestions - but you might later. Apply them to your submission. See how it looks. Thank everyone who comments. Be sure to visit and critique them back. Karma is also your friend. Make friends/Be yourself - If you're in this only to showcase your work and get everyone to pay attention to you, it will show (unless you're some kind of evil genius?). This is an opportunity to find friends and allies. I owe WriteOnCon for my current critique partners who I never would have found otherwise. And most of all, have fun! Live chats - Seriously. Be there. This is a great way know what goes on inside the industry and maybe have your questions answered. Posts and workshops -Lots of agents, editors and authors will hold workshops and share their experiences with us. Take notes. Everything! - Who am I kidding? It's all great. And since this is an online conference, you can leave for a few hours, come back, and catch up on what you missed. It's all saved on the Interweb! Have fun! - This can't be stressed enough. Sure there are contests and agents might poke at your threads and make requests, but let that happen when it happens. Until then, no expectations. Show your best, revise when needed, and keep being awesome. 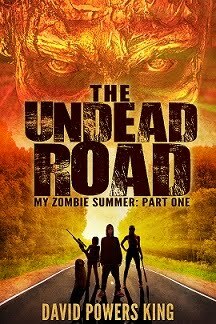 I have a query for Woven up this year and the first 250 words of my MG Zombie novel, which I've finally decided to call The Undead Road. Please check it out and tear them apart. They need lots of help. I'm also going hiatus this next week to "make the most" of this conference. You can find my profile here. See you there! What's the best thing about this conference? You're going, right? If you're not going, what are your plans next week? I'm David, and I'm NOT a little teapot ... or short ... but stout! 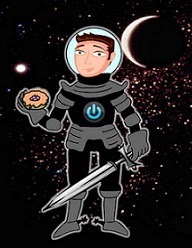 Hope everyone has a great time and learns much from WriteOnCon! Yes I am going, and I'm SO excited!!! I'm slightly disappointed (okay, more than slightly) that I'm not ready to be querying my WiP in time for this...but I know waiting is for the best. Like you said, the most important thing is to have fun and learn! Thanks, David! This is a great post for those who are new (and old) to WOC! Thanks for this! I didn't know anything about it, so I'm going to do some scrambling to clear my calendar now. I'm going to be at another online book event next week. Michael Offutt is also supposed to be there. The details will be on my blog Monday. Would be nice if I could join you, but have enough fun for the both of us! I was browsing the forums and just randomly clicked on a YA fantasy title ... that happened to be your query letter! LOVE your premise, David. I'm gonna post mine soon, too! Thanks for the information. I have this on my calendar, but this year will be my first time. I need to read through the instructions. I have got to say ... I LOVE YOUR ENTHUSIASM! I can hear it in every word of this post. I was fortunate enough to be at the first conference and of course I was there last year. It is AWESOME! I have met many wonderful friends through the conference. I hope to run into to you there. Keep up the bright attitude, it is infectious! Thanks for the suggestion. I'll take a look at it. Wow thanks!!! I mean, cripes, thanks a bunch! Enjoy the conference! It's full of awesomeness. I have to check out WriteOnCon. For the past couple of years I've noticed so many writers participating in it but I've never been to the conference myself. Yay! This is my third year and I wouldn't miss it. =) Thanks! I also picked up a couple beta readers throug WriteOnCon. People whose works I commented on contacted me to ask if I would be willing to read and give feedback on more of their work -- and of course, offered to reciprocate. It's a great place to meet new people! It's been a little while since I've visited (been traveling for two weeks). Love the blog's new look. It loads WAY faster too. Your other background loaded on the first try maybe 50% of the time. I'd do WriteOnCon, but I just don't have the time. Wish I could do it, as it sounds like so much fun. I think "no expectations" is key to enjoying any writing conference! I have been afraid to do WriteOnCon. I'll check out your links, though, because you make me want to participate! I would not describe you as stout. Gonna get my WriteOnCon on! Holes!!! :D That was a good movie... I think I might have liked the movie more than the book to be honest, which isn't a common event! I feel like I ought to check out WriteOnCon, but like you said, it can be daunting. Gotta be brave, I guess! Great advice. I can't wait to read the wisdom that emerges from this event. Thanks for this post! I'm going to try to make as much of it as I can!! Haha. You are too funny. WriteOnCon is awesome! Can't wait for tomorrow! See you around the conference! I wish I had time to join you at this fabulous sounding conference. Have fun! As Pres. of my writer's group, I am asked by almost all who inquire into my group, if we have critique groups or how one goes about setting up a critique group. So I arranged for this month's workshop to be all about critique groups and setting them up. I think it will be a great time and very informative just like this post. You are always so generous and helpful to everyone, David. That's what I remember most about you from LDStorymakers--how giving you were to a perfect stranger like me. Because you let me practice my live pitch on you and you gave me encouraging feedback, I was able to go meet Weronika with an added measure of confidence. And now she's my agent! Thanks for your kindness, and I'm sure it's all going to boomerang right back at you. Best of luck in WriteOnCon!! Cool! I'm not doing WriteOn this year, but it sounds like a good idea for 2013. Have fun! Always wanted to try WriteOn, seems great! Love your enthusiasm! I'm not participating this year . . .but I'll be back into the groove next year.